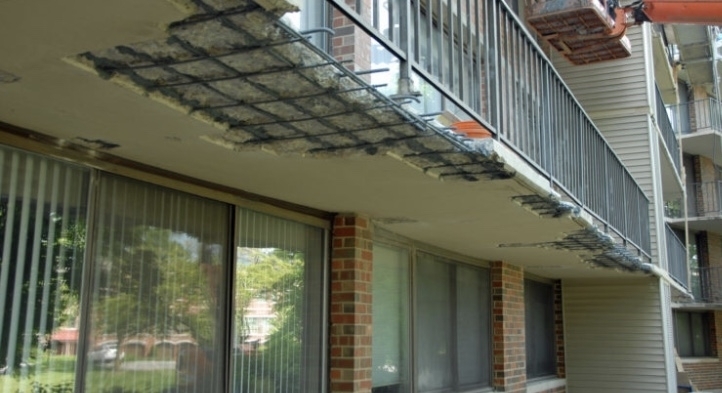 Our harsh environment causes structural degradation and deterioration of concrete over time. 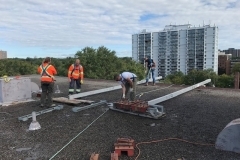 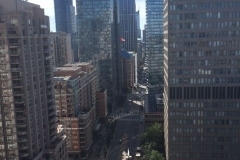 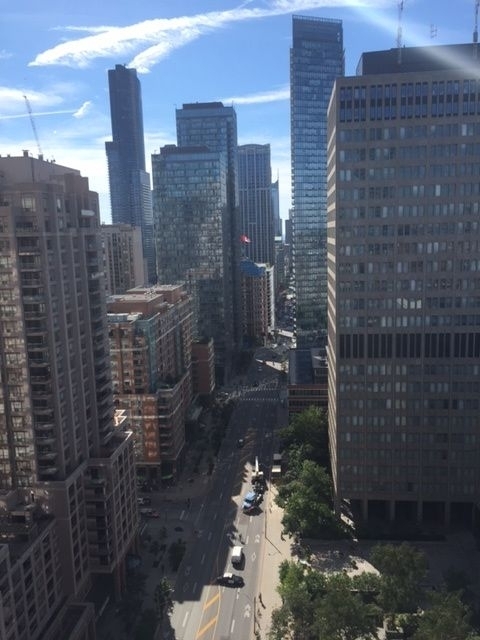 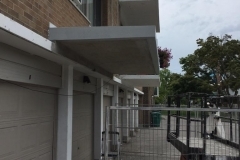 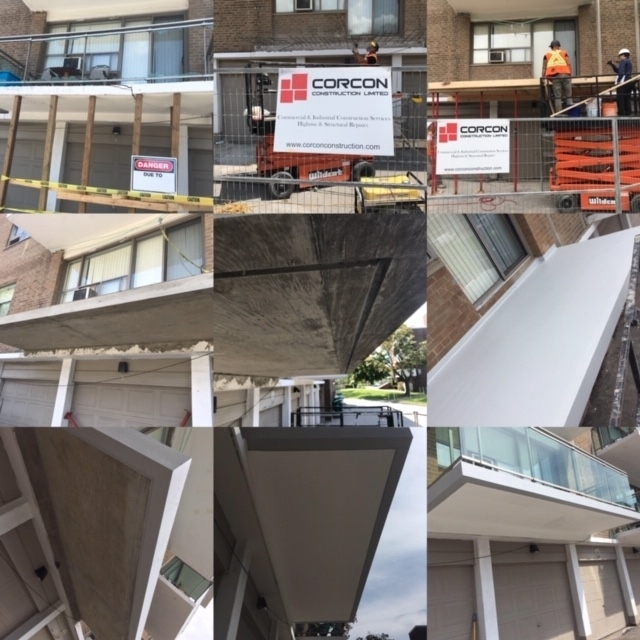 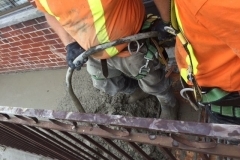 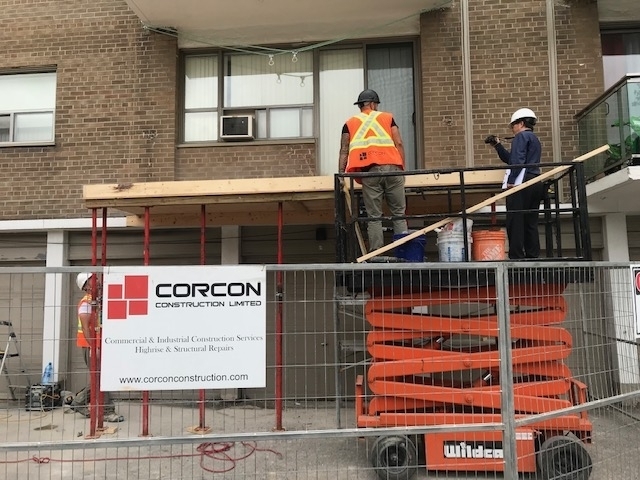 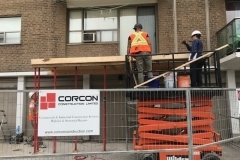 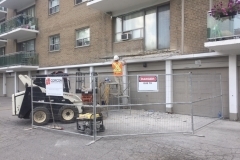 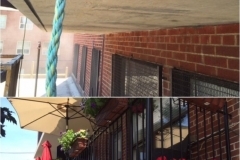 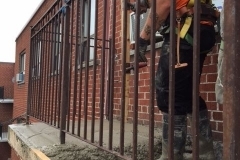 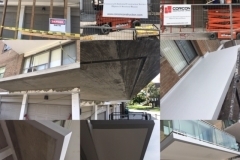 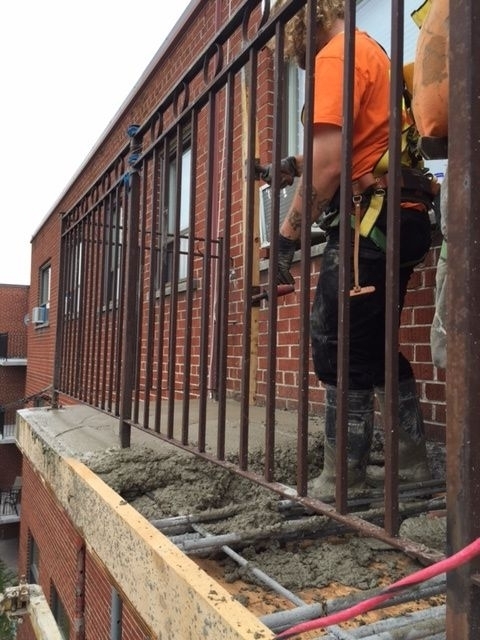 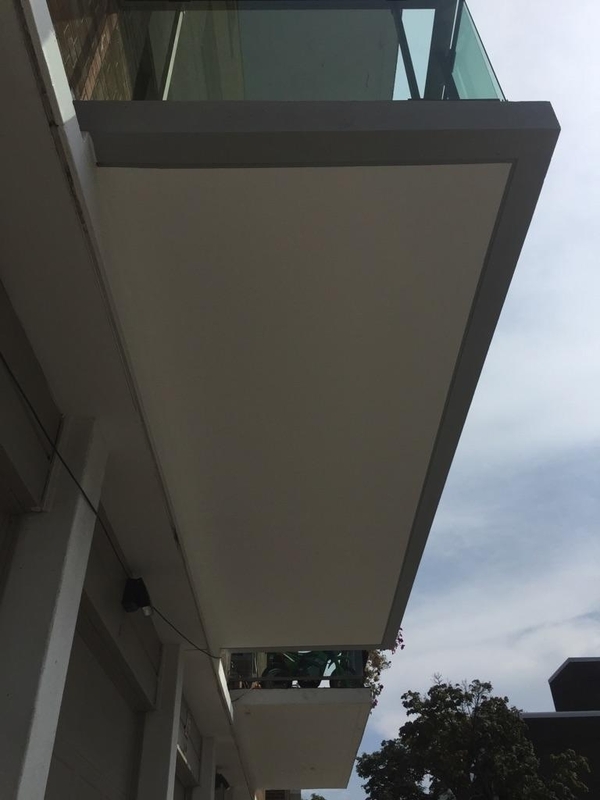 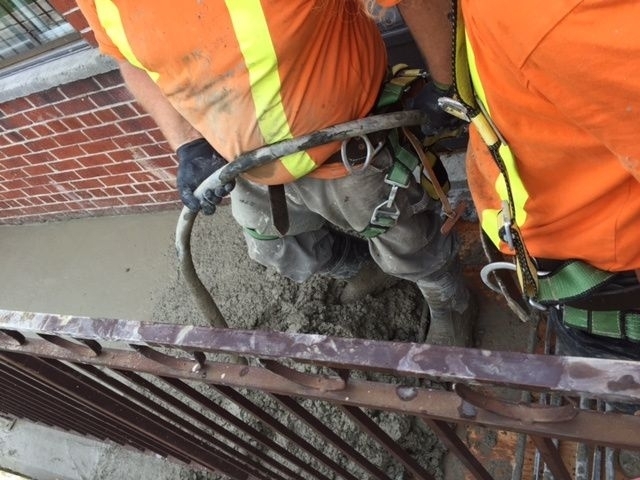 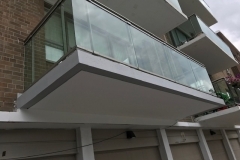 Concrete spalling and delimitation can be permanently resolved by re slopping and waterproofing the balcony slab to eliminate water infiltration. 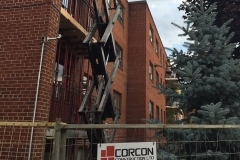 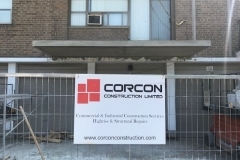 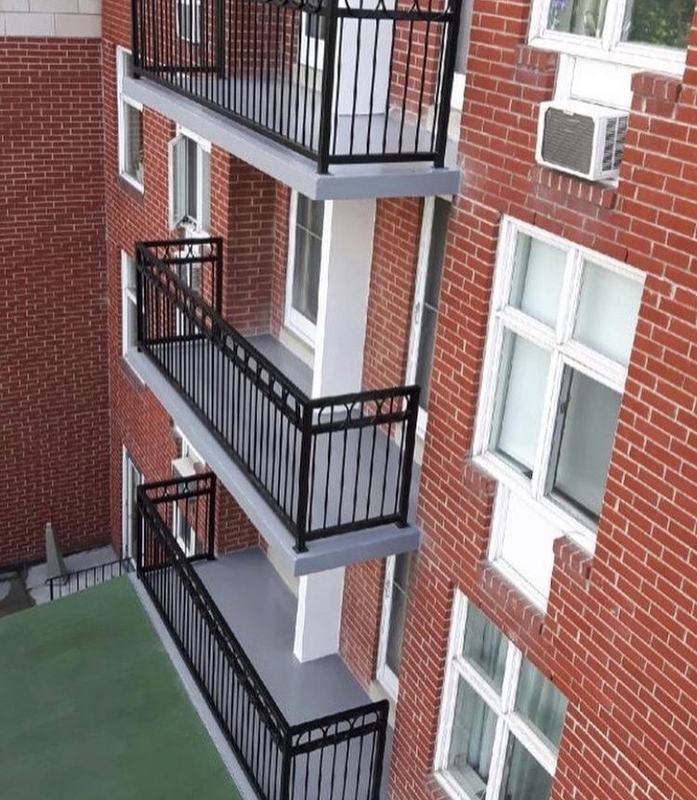 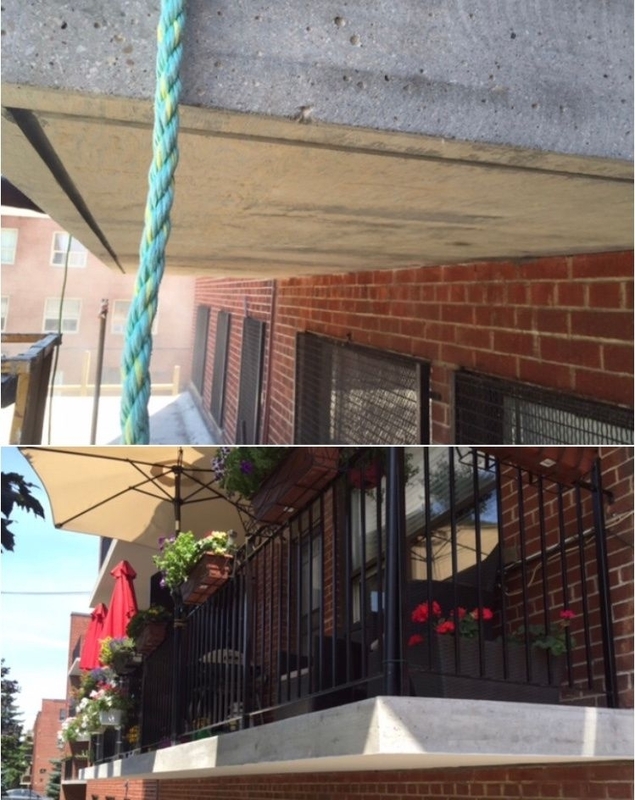 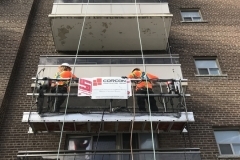 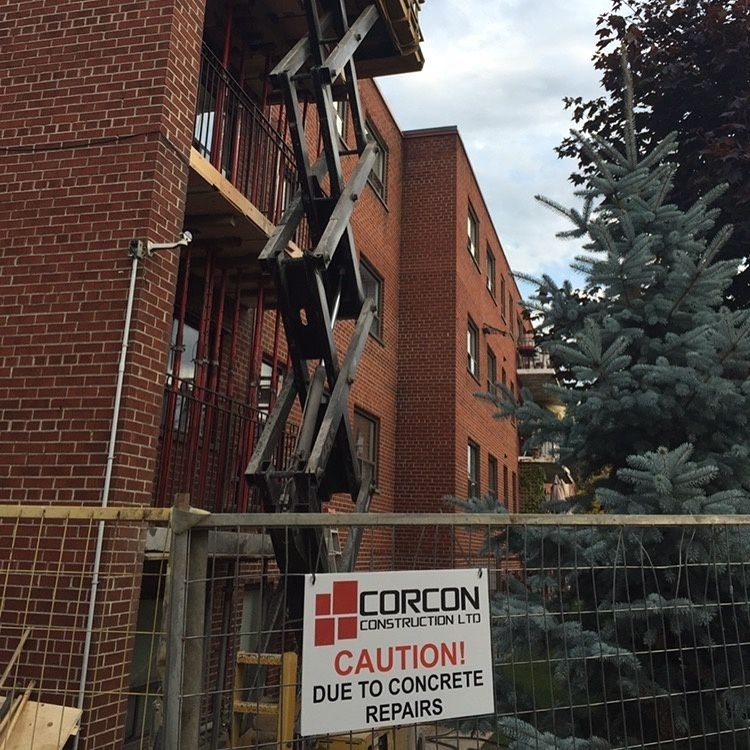 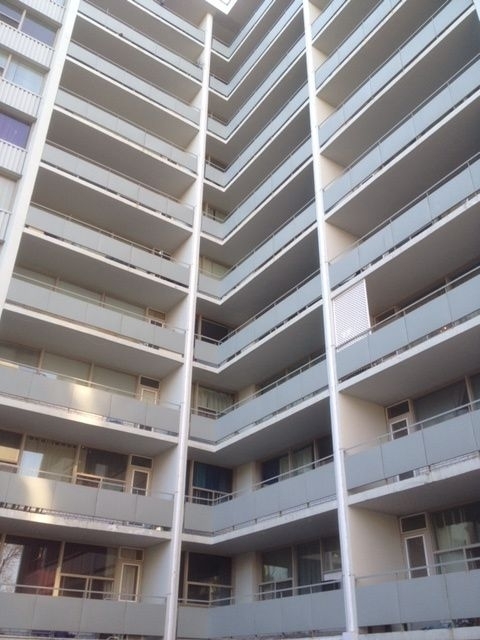 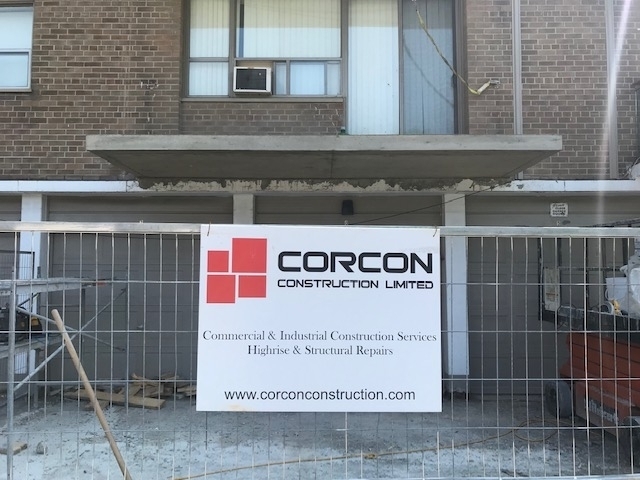 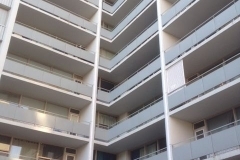 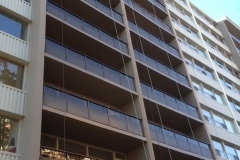 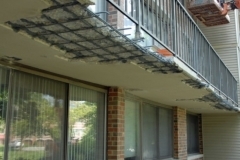 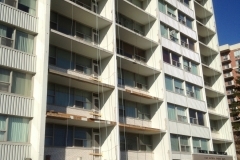 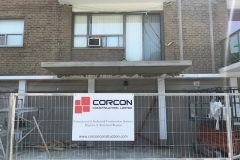 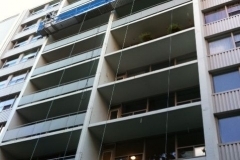 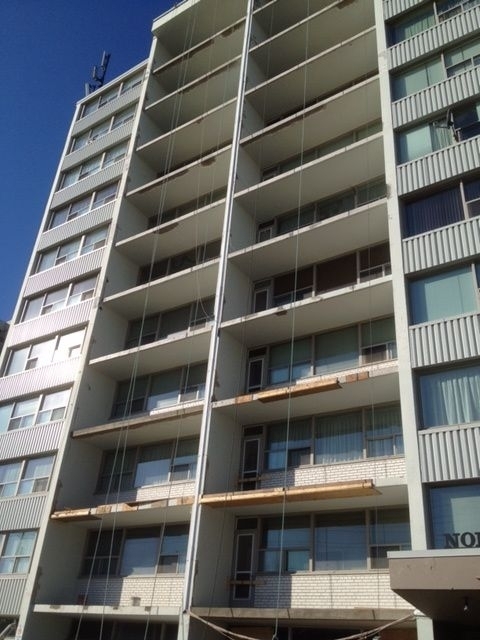 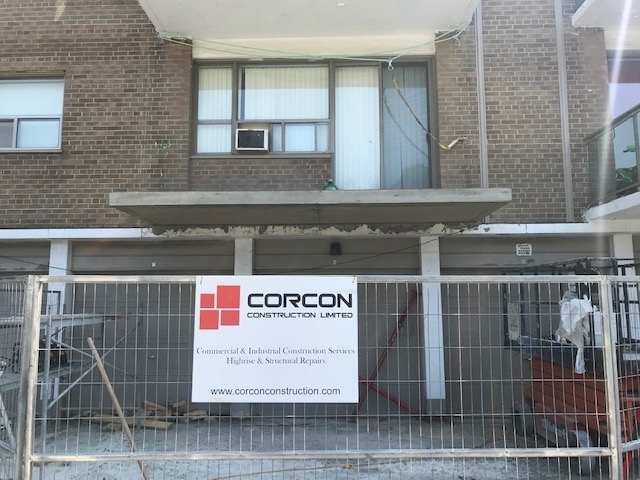 Concrete balconies become brittle and deteriorate due to steel corrosion creating grave safety concerns. 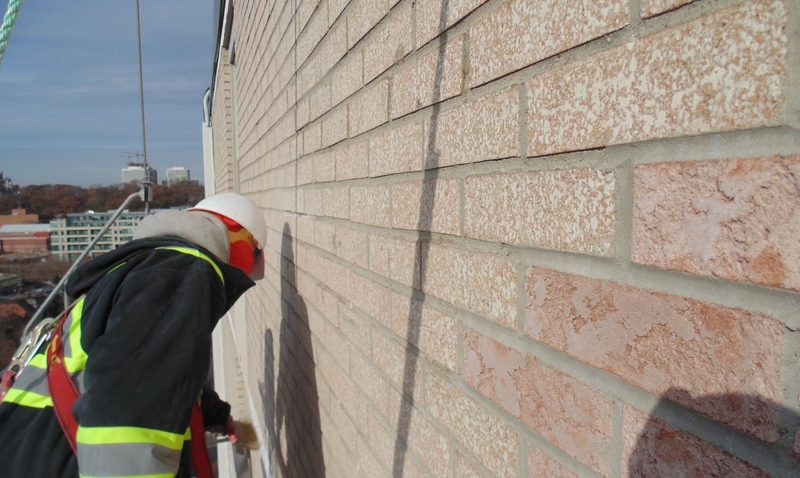 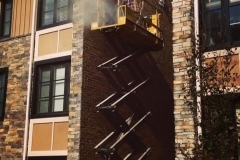 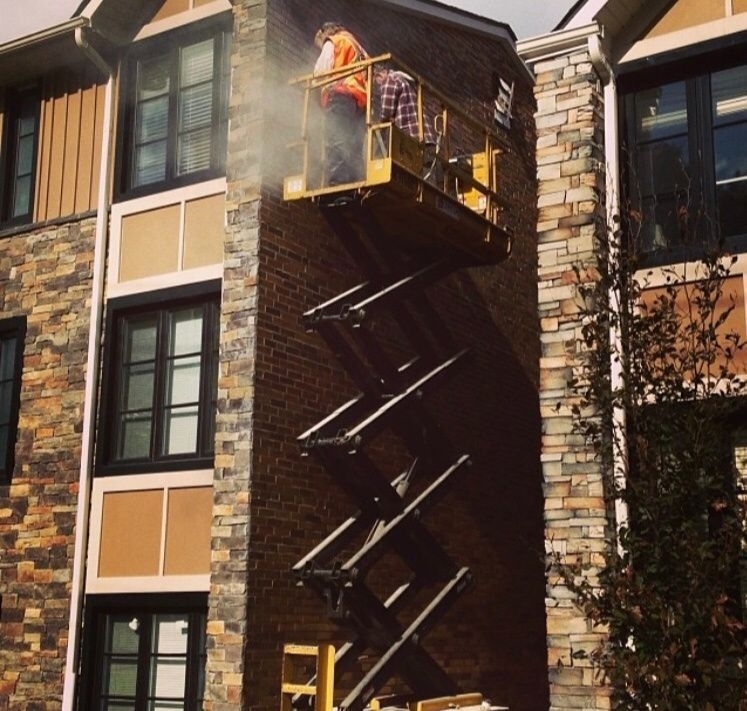 Whether its concrete or masonry issues, we are able to address any challenge your are facing. 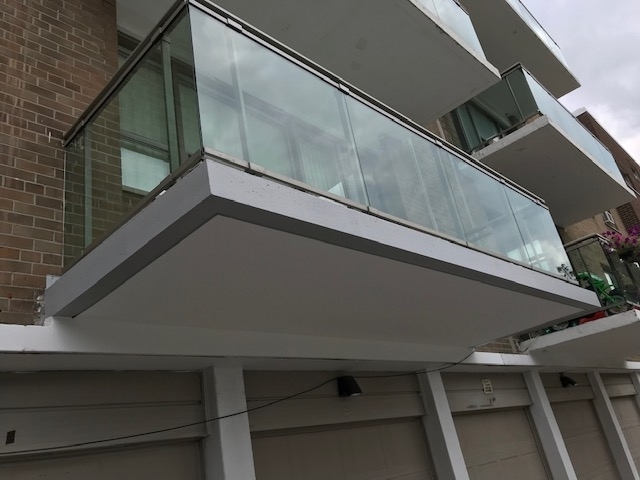 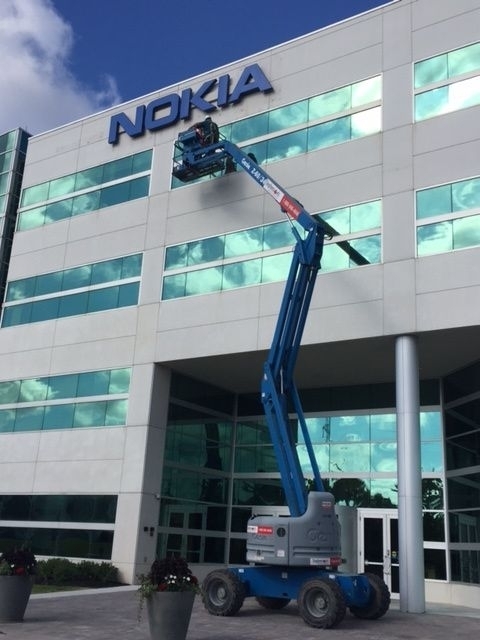 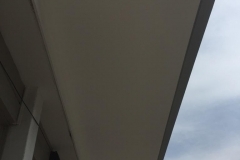 Through our expertise and problem solving methods, while working alongside our skilled engineers, we will reconstruct and fix any concerns you are facing. 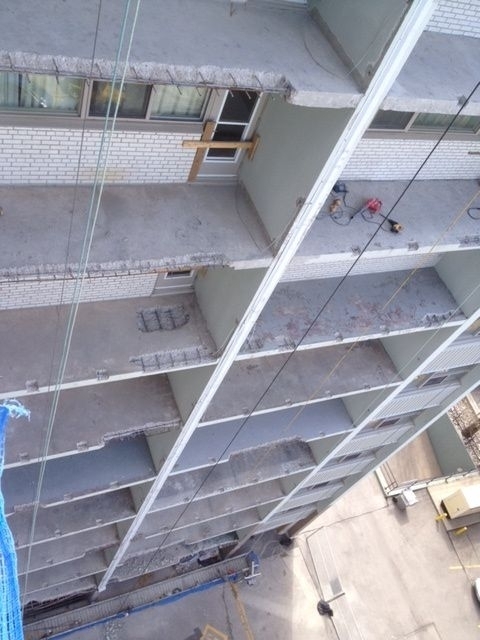 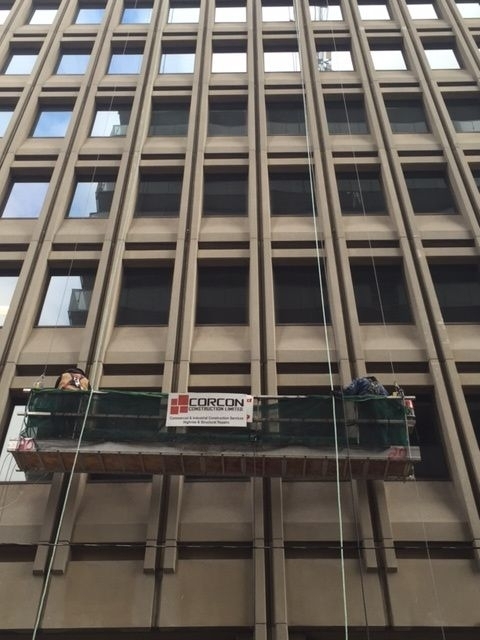 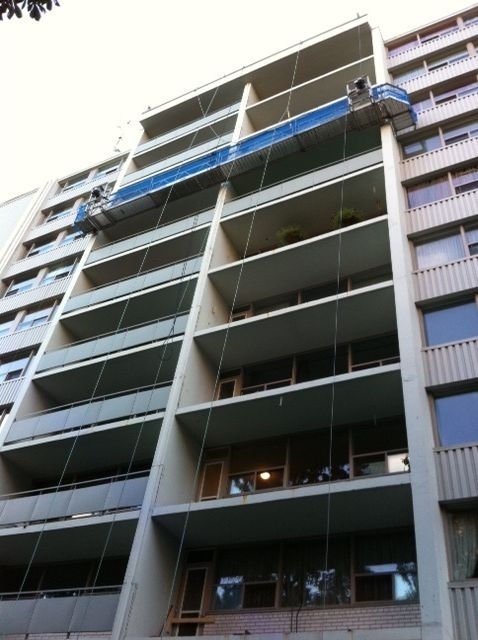 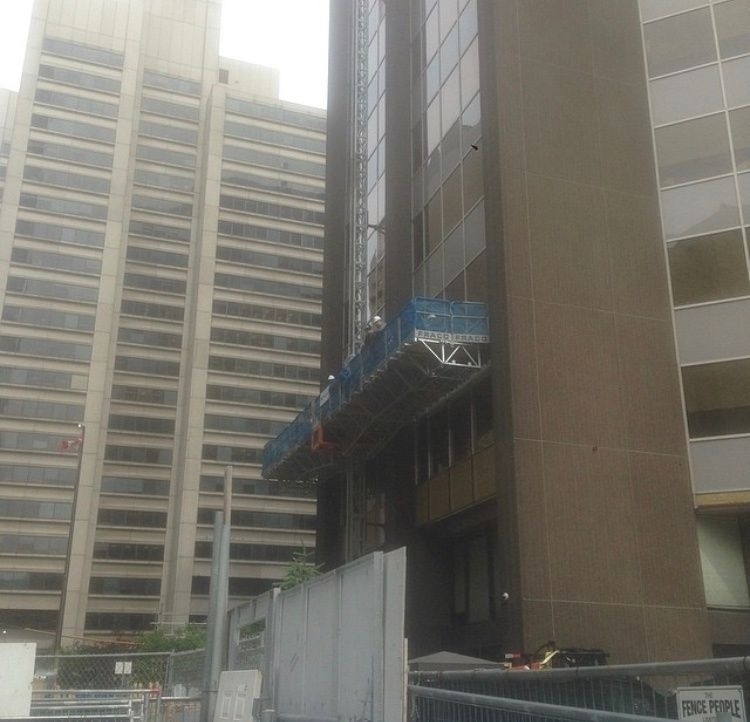 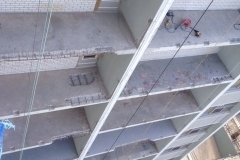 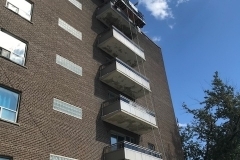 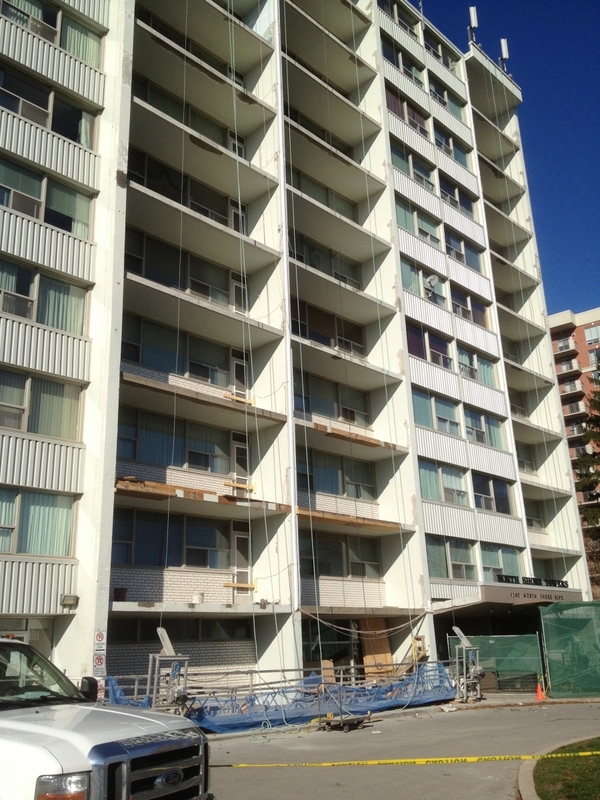 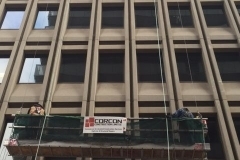 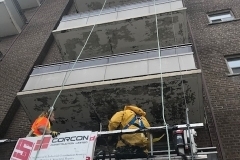 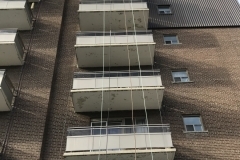 High rise structural concrete repair. 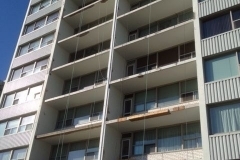 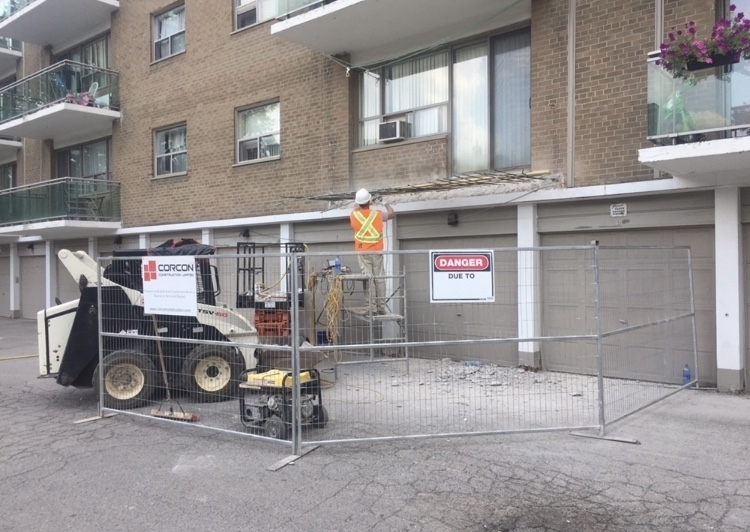 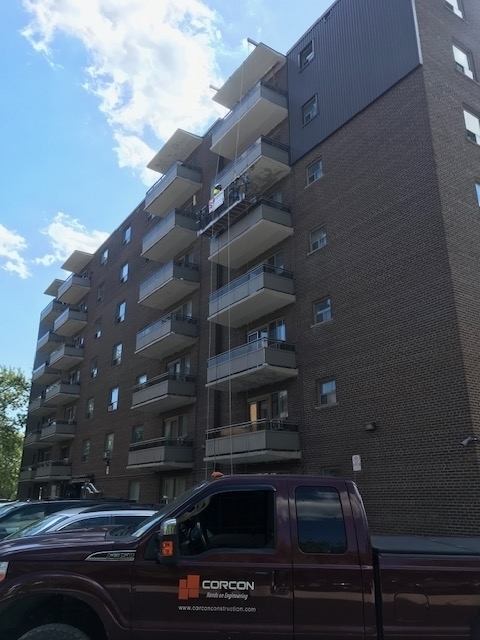 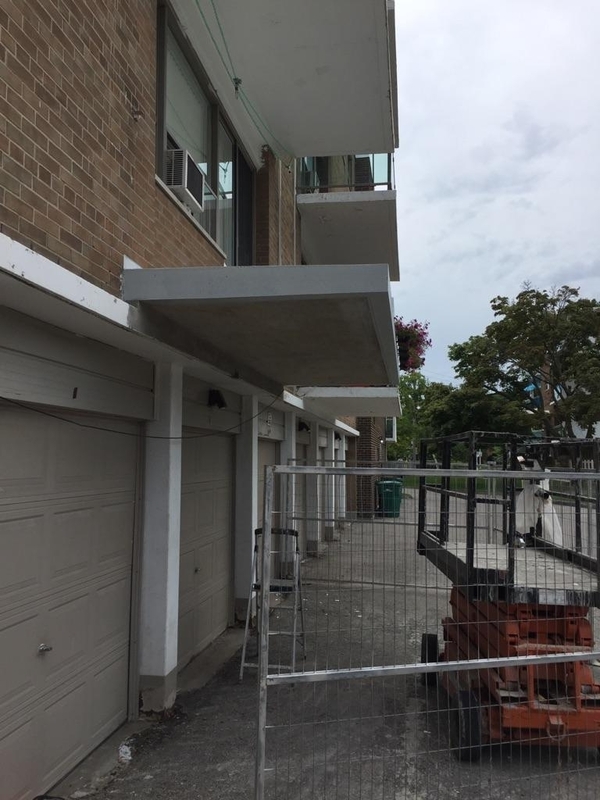 Balcony slab repair / replacement. 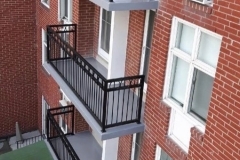 Balcony railing repair / replacement. 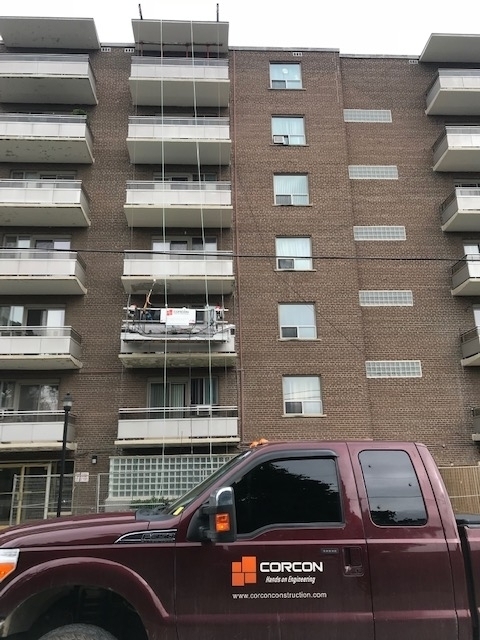 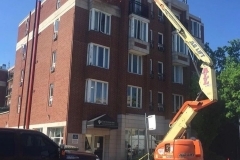 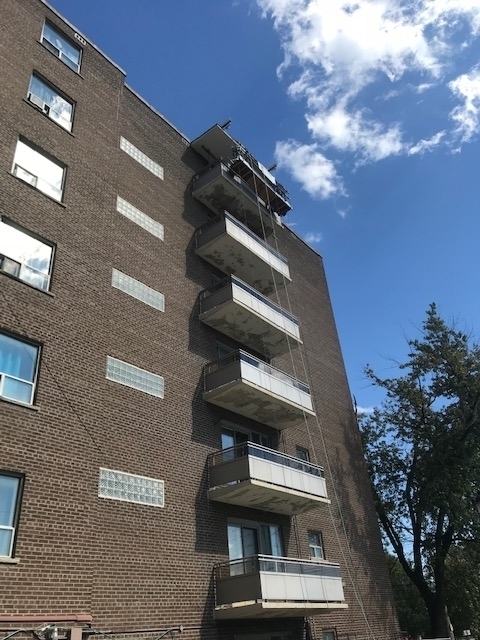 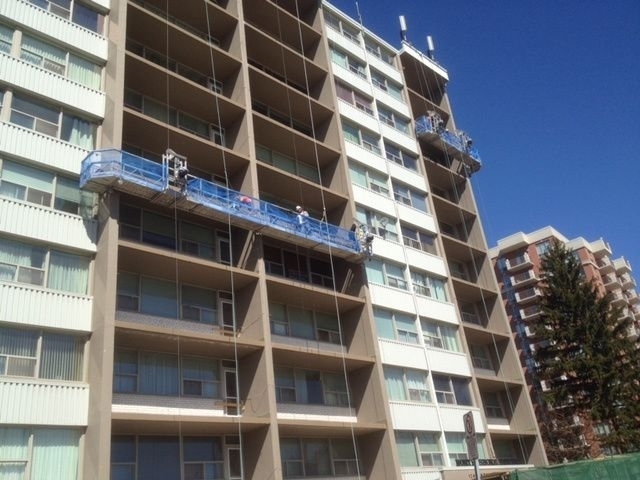 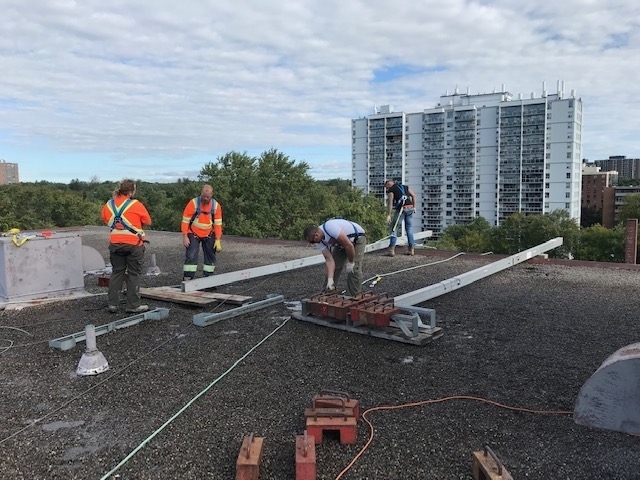 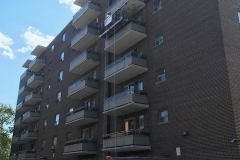 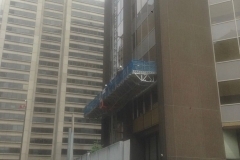 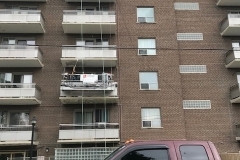 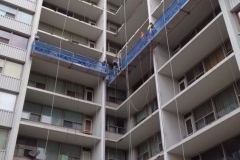 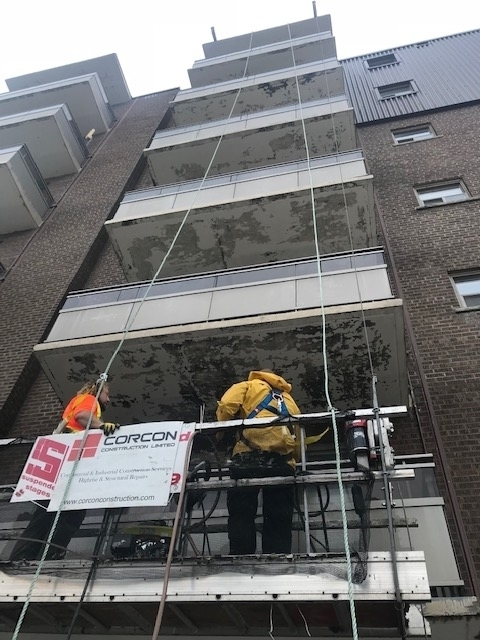 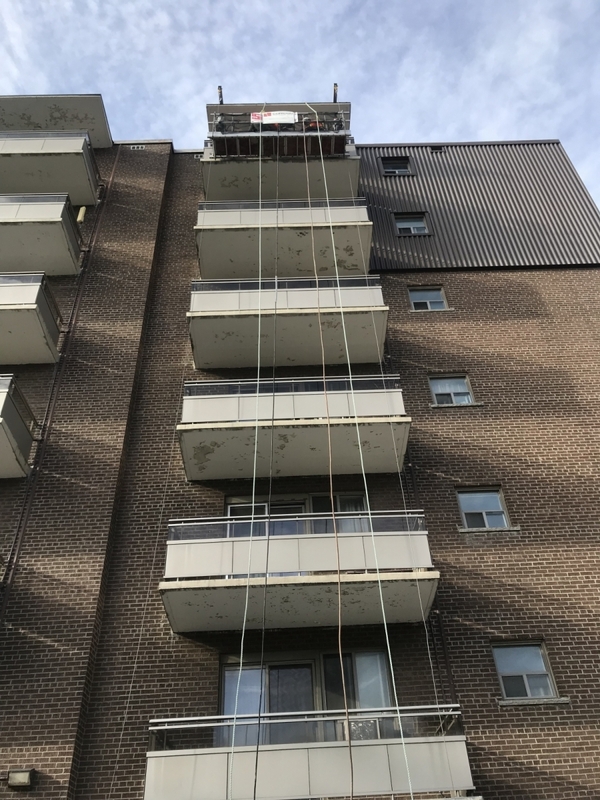 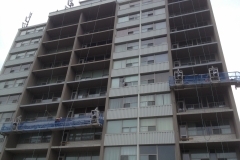 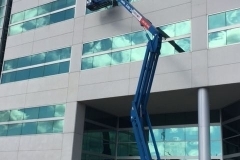 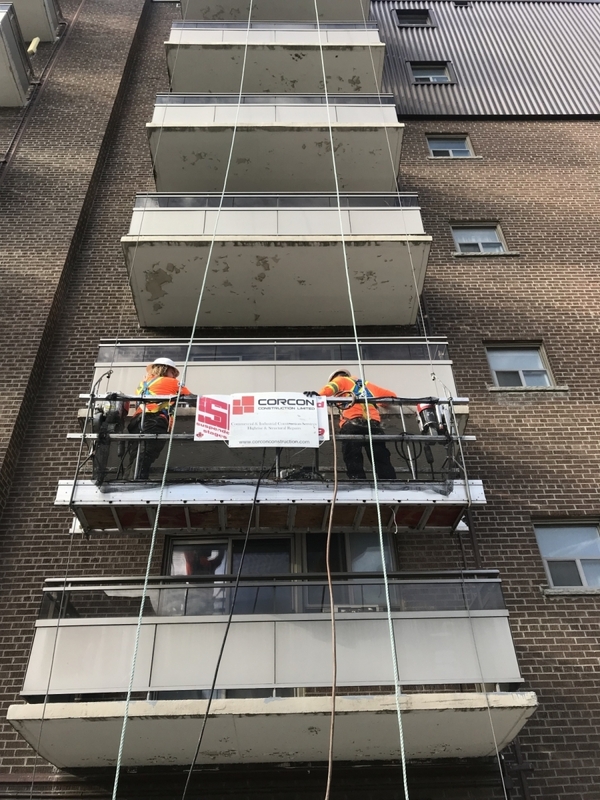 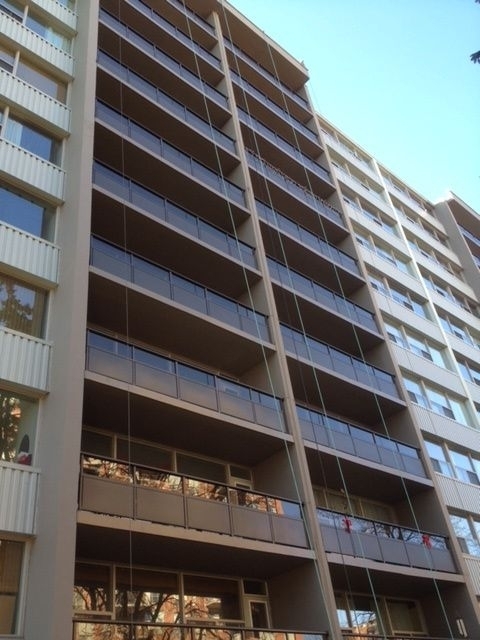 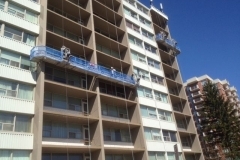 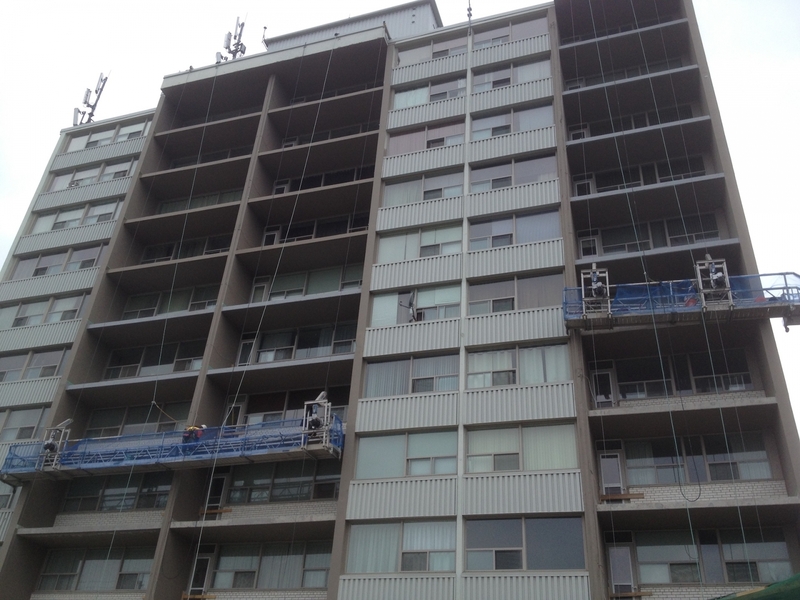 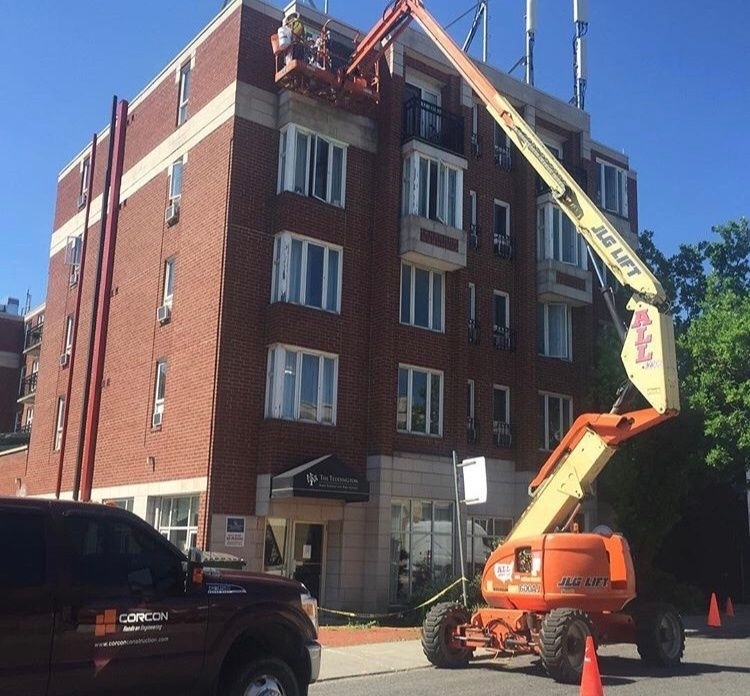 High rise joint control repairs. 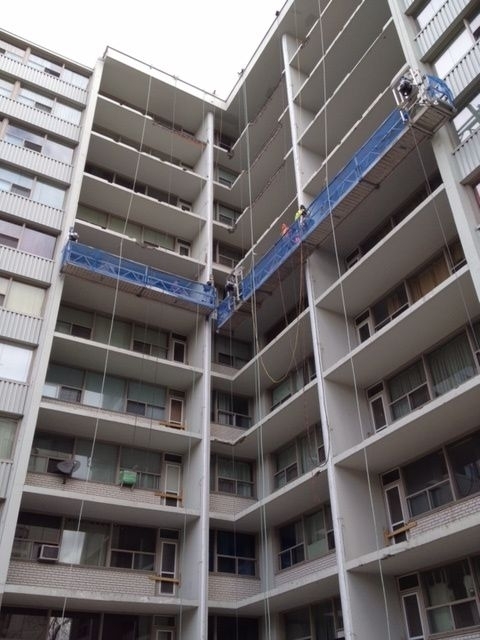 High rise permanent/ temporary anchor installation.